The luxury property market in Dubai still commands demand among end-users. 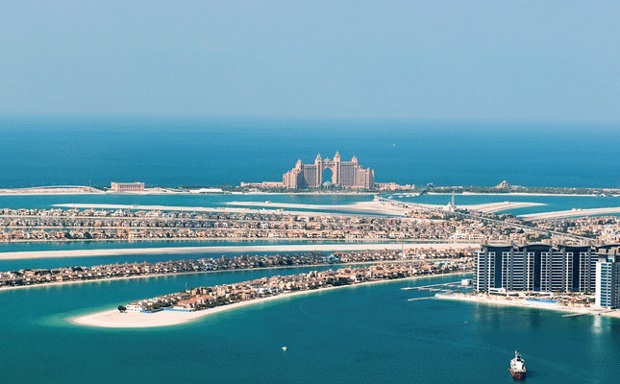 Ask Kabir Mulchandani, Group CEO of Skai Holdings, who has been seeing considerable demand for units in the company’s flagship development – the $1.2 billion Viceroy Dubai Palm Jumeirah. Comprising 477 hotel rooms and 221 residences, all the homes have been sold out but are much sought-after on the rental and secondary sales market, says Mulchandani. Six beach-facing villas and 33 penthouses are fetching a premium on the original price, but the owners are in no hurry to sell or rent for market prices. Considering that the Viceroy is the new kid on the block on the Palm Jumeirah, owners are biding their time waiting for buyers willing to meet their asking price. “Most landlords who own penthouses with pools are refusing rent offers for Dh750,000 and are expecting a million dirhams. Meanwhile, the penthouses were sold for between Dh13 million and Dh30 million. All of them are selling now for much higher prices. The Dh13 million penthouse, for instance, is now selling for around Dh16 million and upwards,” says Mulchandani. The cheapest unit (a 1-bed) you can buy will cost at least Dh2 million and upwards while a villa comes with a price tag of Dh40 million. Residents are already moving into the Viceroy, with the homes handed over last year. Forty seven nationalities have purchased homes in the Viceroy, with the buyers mostly comprising end-users and holiday home owners. Investors only account for around 10 to 15 per cent of buyers. Skai Holding has a 30-year management agreement in place with the Viceroy Hotel Group to manage the Palm Jumeirah property. The average association in this market typically averages 20 years. “Owners have the option to put their residences into a rental pool. Currently, owners are getting a rental yield of over six per cent,” says Mulchandani. Meanwhile, the developer has recouped all losses it suffered when a fire hit its five-star hotel and serviced apartments project in Jumeirah Village Circle (JVC) in August 2016. “There was damage that was not insignificant. We were at 30 per cent completion ahead of the fire. That dropped to about 26 per cent after the incident. Now, we are well over 35 per cent completion and aim to hit the 40 per cent milestone in March,” he adds. Skai Holdings has chosen not to invoke the force majeure clause in the 60-storey Viceroy Tower contract and, instead, aims to hand over the project on schedule by September 2018. This clause removes liability for natural or unavoidable incidents. The tower, also managed by the Viceroy Group, will feature 494 units split evenly between hotel rooms and residences and is a joint venture between Skai and China State Construction Engineering Corp.
“We have sold about 95 per cent of the project. The sales price averages around Dh1,200 per sq ft, which is the highest in JVC so far,” explains Mulchandani. He also cited how the 100,000 hotel rooms in Dubai still boast a robust 80 per cent occupancy. Skai Holdings intends to operate in the luxury hospitality space “as there is less competition”. Mulchandani, however, believes the word ‘luxury’ is overrated in the Dubai property market. “The categorisation of luxury has become so vast that nobody really knows what it stands for. You’ve buildings in Jumeirah Beach Residence and Dubai Marina, which is not what actual luxury is. Luxury has become a commodity. There are probably eight buildings in Dubai that truly epitomise luxury. There is an oversupply in the upper scale segment,” observes Mulchandani. Skai owns a second plot in Jumeirah Village, but on what development plans it has in store, Mulchandani chose to stay tight-lipped.